In Venezuela, voting is 100% automated and includes voting machines and e-ballots. Picture: Marketing and Business. One of the main concerns in countries that are pondering the automation of their voting systems is the difficulty the electorate would face to understand, learn and adapt to the use of voting technology. This doubt is used as an argument by those who oppose the worldwide adoption of e-voting. However, regardless of what is said by those opposing and criticizing the use of machines in elections, the truth remains that the best practices of voting automation have smashed the arguments against its use, and public opinion validates that technology makes voting simpler. A clear example of what e-voting can mean to a country is shown in a study carried out by the Centre for Political Studies of the Universidad Católica Andrés Bello in Venezuela. This research (presented in mid-October) dealt with the “attitudes of Venezuelan voters regarding elections and the electoral government body”; the field date of the study is July 2013, and it comprises a sample of 1,200 nationwide interviews (quota sampling, semi-probabilistic) with an error margin of +/- 2.3. The survey showed that a solid 82% of Venezuelan voters considers that e-voting “makes voting easier”. The fact that 8 out of 10 people believe that technology facilitates voting makes clear that its use is not exclusive, but rather it includes every age and socioeconomic group and meets their demands. Venezuela has used the machines and software designed by Smartmatic for the past nine years, a technology based on touch screen machines coupled with a device for the biometric authentication of voters. These machines are also capable of operating together with an e-ballot (for multiple voting scenarios), storing, counting, tallying and transmitting encrypted results, and printing paper voting vouchers. This study of the UCAB also shows that 45% of the population believe it’s not possible to know who you vote for when e-voting is employed, and 54% of the sample stated that using technology (voting machines and fingerprint capture devices) makes electoral fraud impossible. The findings of this survey reinforce what renowned Venezuelan pollster Datanálisis had measured in September of last year, when 55.6% of the interviewees indicated that e-voting was very easy, while 35.5% considered it easy. Public opinion in Venezuela is sure of what voting automation has given the country. Their support of e-voting must be a tool that motivates governments and politicians to keep the electoral process fail-proof and to continue strengthening electoral guarantees. 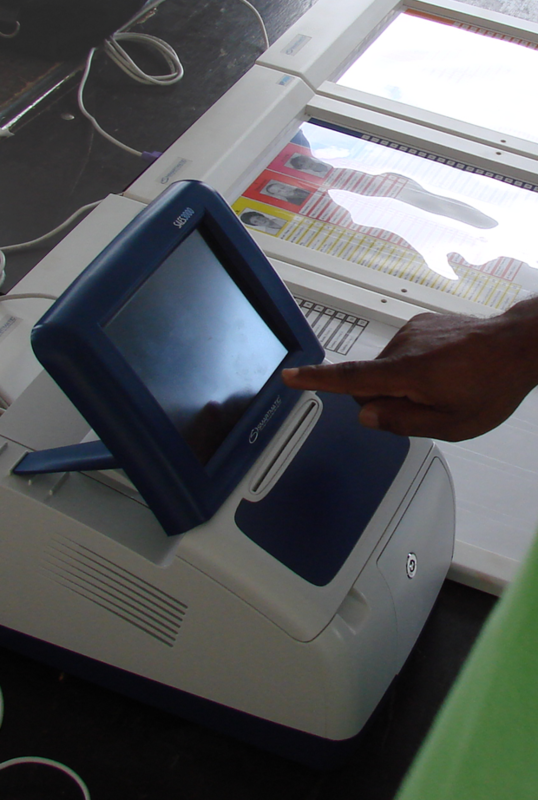 A review of the Observatorio de Voto Electrónico de Latinoamérica [Latin American e-voting watchdog organization], published in Entorno Inteligente, presents five advances in electoral technology that have currently become trendsetting in several countries around the globe, and which share the goal of providing the electorate with increasing guarantees. Read the publication here. In Salta, hasty implementation of e-voting generated faults. The Argentinian province of Salta, which adopted e-voting in August 2009, carried out an electoral session last October 6th, which was criticized by citizens and politicians alike due to faults that had not happened in previous elections. This locale is a pioneer of automation in Argentina, but it made a faux pas that could have been avoided during this primary election. Implementation of electoral technology demands rigorous processes, which in Salta’s case, were ignored at least in three key aspects: gradual application of technology, intense training of technicians and voters, and optimum production of the voting machines. Suffrage was automated in Salta for the first time in April 2011, when the electronic ballot designed by a local company (MSA, Magic Software Argentina) was used for 33% of the electoral registry. The gradual implementation was expected to reach 100% of the registry by 2015. However, authorities decided speed up the adoption process and automate the all precincts this past election. Unfortunately, fatigue and frustration are the main results. 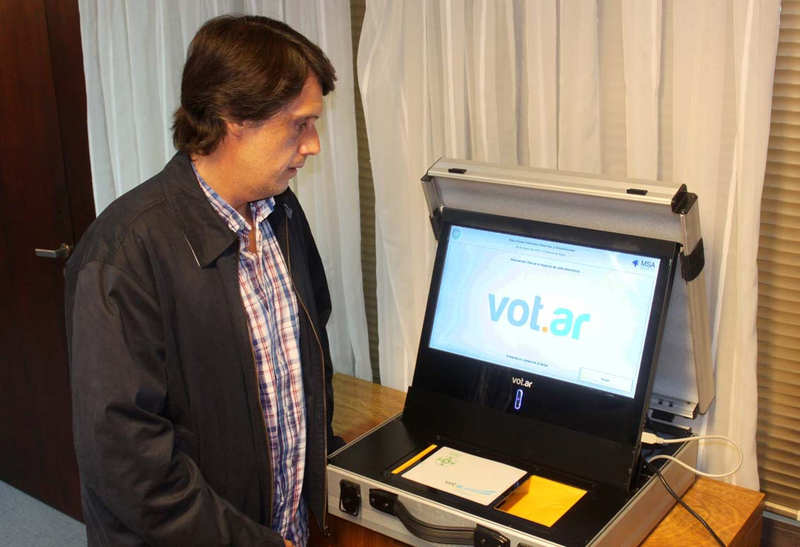 The provincial deputy pre-candidate from the Salta Popular Front, Jorge Guaymás, made it very clear: “electronic voting should have been implemented gradually,” because “many people were not familiar with the technology,” thus generating excessive delays during the process, and also causing mistakes and mistrust among the citizens. This statement reveals that not only the electorate was not trained to vote with electronic ballots, but besides, in many polling stations, technical personnel was not trained either to carry out the process correctly. This criticism went straight to the Electoral Court, where Deputy Javier David remarked that on top of the total lack of training, the ballot boxes failed. “The machines didn’t work properly. They were not printing, paper was going in a different direction, they froze several times. That was another weak spot,” he observed. Some even alleged that the machines broke and were rendered useless. Some Salta media outlets gave their opinion about what happened during the election. Daniel Chocoba, Chief Deputy editor at El Tribuno, wrote that while training and dissemination of the process failed, the authorities never explained why the complete implementation of e-voting was carried out two years in advance. Meanwhile, the Iruya newspaper mentioned that there was chaos due to the lack of preparation to carry out the election. From beginning to end, electoral guarantees must be a clean process where problems are the exception and not the rule, as it happened in Salta. The first diagnosis dictates that shortening deadlines did not bring any benefit to a region that had started well in their use of e-voting. Authorities must confront and transcend any particular interest, and put electoral guarantees at the top of the agenda. Relying upon companies with proven experience is fundamental to ensure an automation that highlights all the benefits of technology instead of leading to faults that have already been overcome by countries with a longer e-voting history.